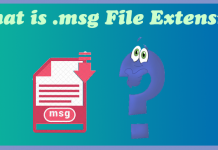 What is Lotus Notes NSF Extension File and How to open it? NSF stands for Notes Storage Facility. NSF extension files are used to save the Lotus Notes emails, contact, calendar events. It works with IBM Lotus Notes & Domino Server. Just like MS excel has XLS extension, Notes database has NSF extension. To access NSF extension file user must have IBM Lotus Domino. Lotus is a client and Domino is a server. Domino server helps to save the Lotus Notes database. NSF extension file may be used for the data replica. It uses Binary format to store user data. NSF file is known as an Object store. Here are three types of NSF files are listed below. Mailbox.nsf: It maintains the user’s information like all the e-mails, calendar events, to-do lists, and notes. It can save as database.nsf or .nsf format. Names.nsf: It stores the user’s personal address book information like contact, locations, connections. Headline.nsf: It saves the user’s database subscription information. Bookmark.nsf: It stores the all the information related to saved bookmarks. Internet.nsf: It maintains the complete information about NNTP. Busytime.nsf: It maintains the information of the local free time of a user. Perweb.nsf: This file stores the information of web browser. Here is a location to save an NSF file is listed below. Here we talked about in detail what is NSF extension file and how to open and save it in different Operating Systems and described the location of .nsf file and it’s structure. We hope in this article your doubts are clear now. If you have any suggestion related to the article please comment it in the comment box or if you still have any doubt or query please contact our support forum. 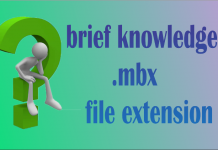 Next articleWhat is .mbox file extension & how to Open MBOX Format?